Yeah once you get me on the phone in a comfortable position I'll be on there for hours. How long did you wait before you tried to get off hang up? Yep, you've got it. I can essentially never miss a shot, since the suit makes sure the weapon is aligned with the target I'm looking at, and also takes into account the effect of gravity and atmosphere on the projectile, which is why a science guy can fight along side the world's top soldiers. If I actually were to build a suit, it would have capability like sonar, infrared, and even the ability to automatically hack into nearby security cameras, then merge all the visual cues together, process them, and display them in a coherent, simplified fashion in my HUD. Needless to say, even if James had the time to do it, and the engine made it easy to set up, it would make my character way overpowered compared to the others. Keep an eye out my origin story in Episode 3. It's pretty damn short, taking place in an underground lab, but it should be a sweet ride. The suit wouldn't display the camera feed directly. 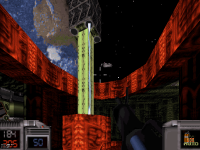 It would pick up enemies and layouts from camera feeds, and re-render them from the player's perspective as part of the seeing-through-walls augmented reality functionality. The jetpack isn't built in either, it's part of a module. The version of the suit Micky wears in the TC is designed with modularity in mind. This means that there's the base suit which is light and efficient, but can attach extra components such as the jetpack, scuba gear and thicker armour as needed and required by the mission at hand. 1_ The hint is a lie !! 3_ Suggestion for a fix : Highwire's radio remains at 0% when used up in order to still be usable with field radios BUT if we happen to change item it will disappear, What I'd suggest is make it so that using the radio consumes 49%, leaving the fully used radio at 2% which is enough to make it so that it won't disappear, then you would just have to make it so that the remaining 2% won't be enough to allow a third use. I noticed something when playing usermaps. When Overlord is killed, you cannot walk over his corpse despite he's dead. You will have to blow up his corpse to go through him. I've only noticed this with the Mini Overlords, Haven't checked on the big one though. I almost forgot about the Overlord in Pipedream. I could try it out there. But of course I do have to get there where he is. Although I could try with the Overlord in ep2 of Duke 3D, for it would be quicker. But of course there is the blank cinematic that you mentioned, so I could try to get close to him before it happens. EDIT: I've just tried it out before the blank cinematic happens, and as it turns out, you cannot walk through the big Overlord even when he's dead, just like with the mini ones. Also for laughs, this is what happens when you play the regular Duke Nukem 3D levels with AMC. 2_ The phone conversation with Jane after the Shadow Realm doesn't work, just like one of Micky's (I think it's the one after the Shadow Realm as well). 3_ I've noticed that when a Reaper is slashing at you and misses (because you're backing off), IF the animation of his attack is full and the slashing sound plays then you will spawn a little gib even though you were not hit. 4_ I've discovered why James' Auto 5 practically always triggers the SG ammo glitch (shooting uses both mag and ammo) if we try using alt ammo with it : I've noticed that this is due to the fact that when the alternate ammo is depleted with it it will not automatically revert to regular shells like other guns normally do. James' Protecta triggers it way less often and sometimes we can fix it with a bit of luck but this is impossible with the Auto 5. Try updating your Eduke32 exe; it was a combination of problems IIRC. I don't have time to push out another patch for an older version I'm afraid but this at least is definitely fixed for the next episode. The S isn't a typo ? No, if it was I would of said so. The grammar may be fine, but judging from that screen, the kerning on that font could use some work. I have forgotten to mention this bug for a long time now but after playing the TC again for the past few days it occured again. The sorcerers (teleporting ones) can sometimes get inside floors (Yeah, under floors etc) and get stuck in there. Can it be fixed so at least they appear above the floor? The problem with their current behavior is they can still melee you from under the floor, I had it happen in Millhaven and it pushed me into a lava pit. I've experienced that as well, basically a way to prevent them from doing that is to make it so that you're jumping while they teleport, Also the fact they're stuck in the ground doesn't necessarily happen as they teleport but also as they "walk" off a ledge they fall into lava and never fly back up. Another way to prevent that is to find a way to get as far as possible from them in order to make them teleport back to you while you jump to ensure they're not stuck again. I don't remember seeing that in the original Ep1 version though, has there anything been done to them between 1 and 2 ? I feel like I'm bothering you with these bug reports but I need help The medical converter research, it's supposed to be in Megabase right? The medlab room, on the wall? I don't see anything like that, no modules on the walls or anything. The research is unavailable for me for that reason and it's become a new kind of challenge. I can't say I don't like it but I'm missing it now Could it be a bug? I checked on mapster that it should be there, the sprite for it is. In game, it's not though. yeah that's a known bug I'm afraid - I fucked up whilst editing the level. Did you check to see if the sprite is inside the actual building? The problem was I moved the wall so whilst the sprite is still there it's now considered outside the room.Try moving it and then checking if you can see it in 3D mode. Well a new Eduke version did fix weapon slot mess ups in Zeta Base but now I'm getting random silent crashes, no error, no report or anything. It just silently shuts it and takes me back to desktop... This happens in random places but now after I go to the elevator that takes me back down to floor 1 of Zeta Base to the octabrain area it simply crashes no matter what I do. Anything I can do about this? Oh and, grenades don't explode properly anymore, due to this new Eduke version. It seems to affect the grenades with bounce counts rather than times, like the grenades of that one zombie. Probably not - like I said, I'm not really in a position to spend time making a patch for the EP2 release version since my time is limited unfortunately. Personally I'd recommend sticking to the Eduke provided with the original game and its patch instead of using a newer one, also for the problems you mention maybe you should check if your Eduke CFG file isn't corrupted because it once happened to me and although I didn't get your specific problem I got things both far and close to them. Hey I found a new bug ! It occurred in Providence but I suppose there are possible ways of reproducing it elsewhere ... Here's the thing, I was as James in the mines going up to John, I had the Tommy Gun as temp weapon and when I got back to Sang in his cell I couldn't use fists, even taking a temp weapon and dropping it didn't fix the problem I couldn't fist still. A small test reveals that I had the Tommy Gun fitted with Sliver Bullets and this is what caused the bug, if I activate the cutscene while having Regular ammo in it then I can use fists with Sang but not if I activate the cutscene with Silver ammo selected. Hey I found another brand new bug concerning automatic slot 2 weapons ! It appears that when you're using a full auto handgun while quick-kicking at the same time you can actually have a few free bullets in your magazine, meaning you can have a full burst last a few bullets longer than normal. As you can see between 2 and 3 I shot 14 bullets but my magazine had drawn 13 instead; When I first noticed that bug I had 0 ammo but 2 mag (unusable). Using the same technique the first clip brought me to 28 (correct) but the second clip brought me to 5 while it should have been 8 (3 extras). Using the same technique I should have been brought to 180 but I got 2 extra bullets. Yet I had to stop firing twice because the shovel strike took priority over the kick. Using the same technique the first clip brought me to 216 (correct) but the second clip brought me to 181 while it should have been 186 (5 extras). Using the same technique I should have been brought to 375 but I got down to 371 (4 extras). I tested more guns than that (Namely Sang's SR2 and Highwire's VAL) but only these ones (pictures) have shown the glitch and as I said not systematically unlike the Kashtan, for James' Glock and Highwire's Skorpion I had to use 2 clips in order to manifest the glitch. Also it doesn't seem to have any relation with Highwire's SVD and James' Crossbow gaining an extra shot when firing super fast and yet it has the same effect of having extra shots before reloading.